Take your drawing skills to the next level with member artist Jimmie Bemont. Known also as a sculpture artist, Jimmie has created fine drawings on several subjects, from western landscapes to still lifes. 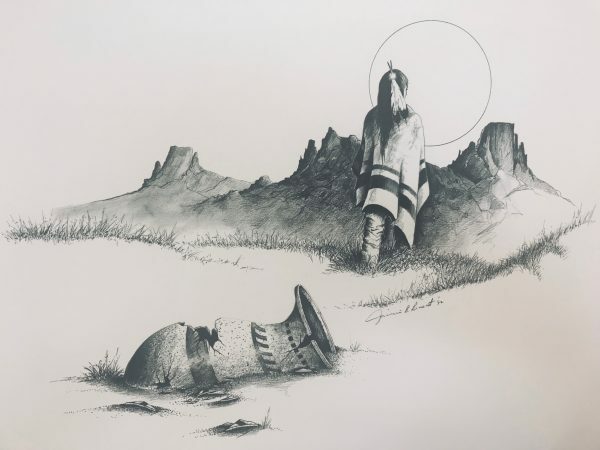 Jimmie will use his drawing of a Native American with Broken Pot landscape for students to draw, while learning how to approach and produce three- dimensional depth, and think through the many aspects of objects and figures you are portraying, no matter how simple. All supplies will be provided, and some drawing experience is necessary. Each class will we will explore different images and skill sets. You can purchase individual sessions.